By Scott Gilfoid: Ambrose Mendy, the boxing adviser for #1 IBF James DeGale, is offering IBF/WBA super middleweight champion Carl Froch a guaranteed £4m if he’ll agree to fight DeGale. Mendy thinks Froch won’t take the fight, and that his promoter Eddie Hearn isn’t answering the phone. They would like to fight Froch on January 31st next year when Froch next fights, but it’s still unknown who the 37-year-old Froch will be fighting next. He’s mentioned guys like Mikkel Kessler, Julio Cesar Chavez Jr and Anthony Dirrell as possible opponents for his next fight, but he still doesn’t know who it’ll be. A fight against Dirrell makes the most sense because he’s the WBC super middleweight champion and he’s still unbeaten. Kessler makes no sense at all because he’s not fought since he lost to Froch in early 2013. In other words, Kessler has been just sitting for over and year and now he wants a title shot against Froch. It makes no sense. Kessler isn’t even ranked in the top 15 by any of the sanctioning bodies at this point. Chavez Jr would be a decent fight, but I doubt that he’ll agree to fight Froch. I’m not sure how big of a fight between Froch and DeGale is. I think it’s a decent fight, but unless DeGale talks total trash and has Froch looking as tongue-tied as George Groves did in the run up to their two fights, I don’t see a Froch-DeGale fight being any bigger than Froch’s fights against the likes of Yusef Mack. DeGale needs a solid win over a quality fighter for a fight between him and Froch to be a huge one. Instead of DeGale looking to fight a tough guy like Sakio Bika in his next fight on November 22nd, DeGale will be fighting Marco Antonio Periban, a fighter who has lost 2 out of his last 3 fights. That’s a terrible fight and not nearly big enough to get DeGale in a position to fight Froch. DeGale should have had his promoter Hearn push for a fight against Andre Dirrell. 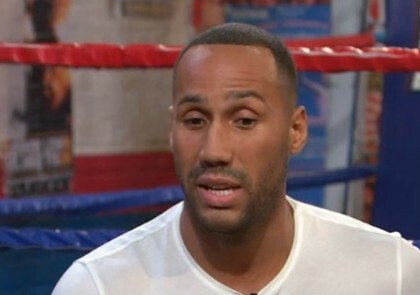 If Hearn had opened up his pocketbook and given Dirrell a huge offer, I think he would have taken the loot and signed up to face DeGale, even if it meant going back to the UK to fight.